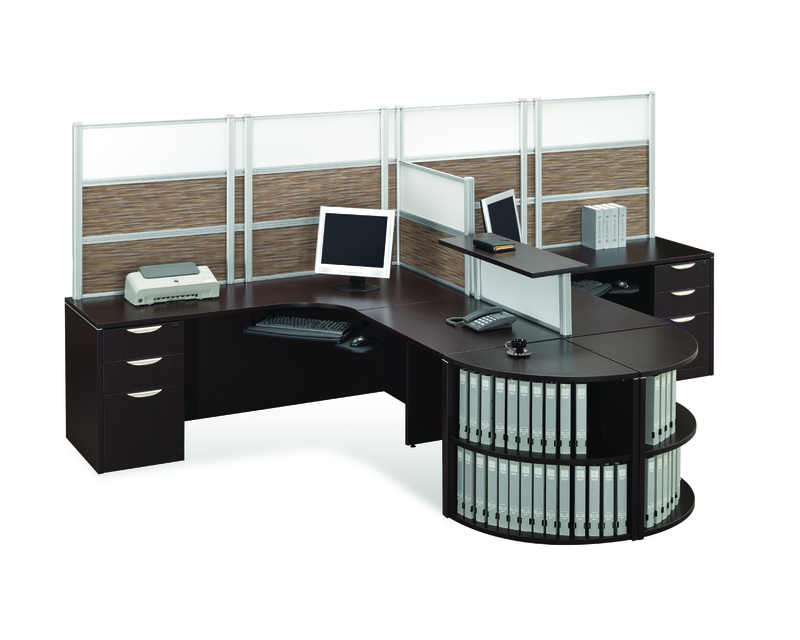 Get Them at ‘Hello.’ Make a first impression that lasts with the Borders Plus series. 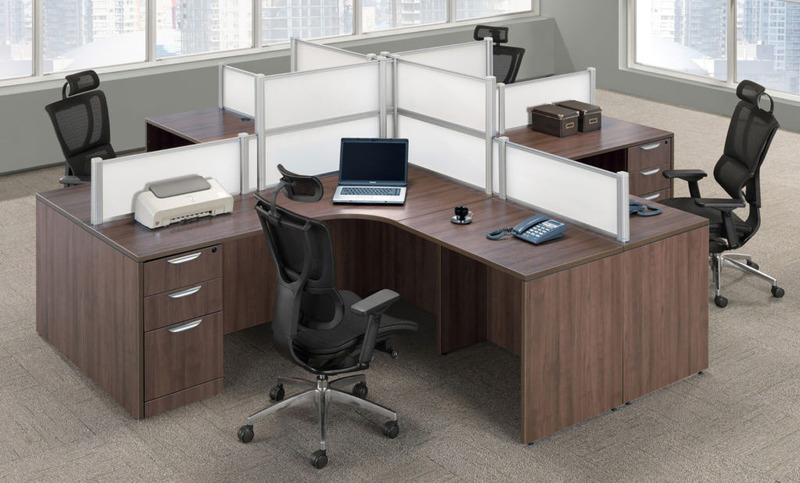 This modular system puts functionality at your fingertips with versatile components that let you define your space your way. 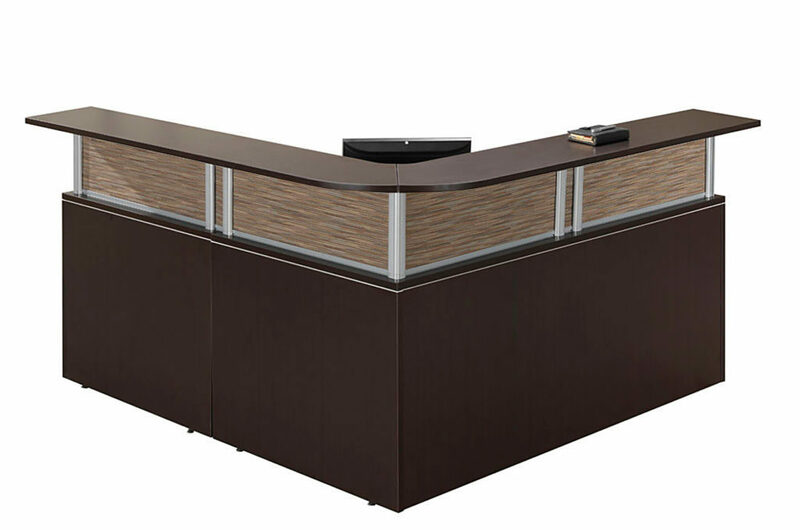 Keep it simple with an individual reception desk or combine elements to create collaborative workstations designed for today’s office environment. 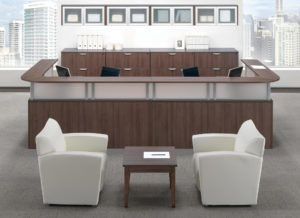 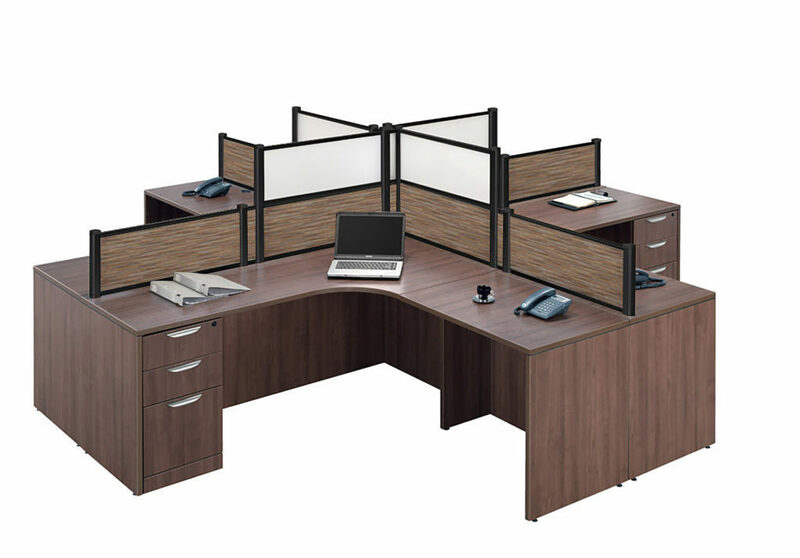 Stylish and easily configurable, Borders Plus lets you imagine your ideal work space with durable, high quality reception desks and team workstations that are built to last. 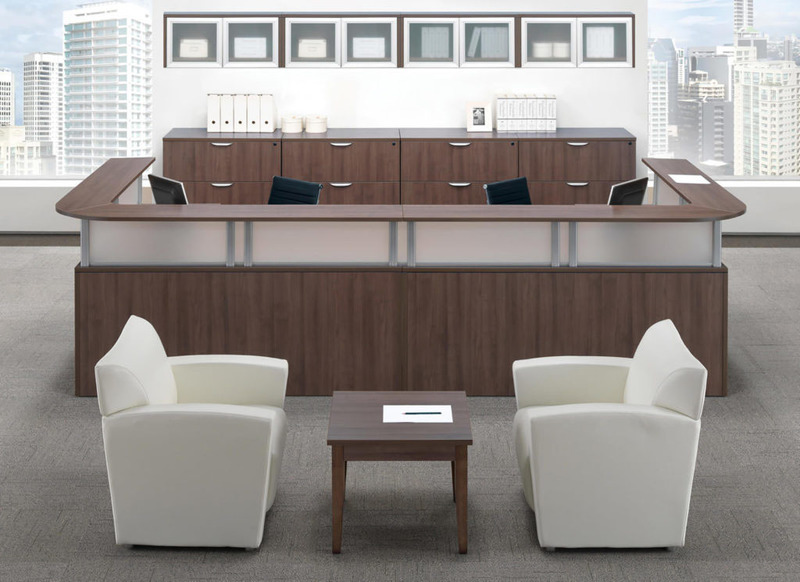 Big business or small, the Borders Plus collection lets you put your best foot forward. 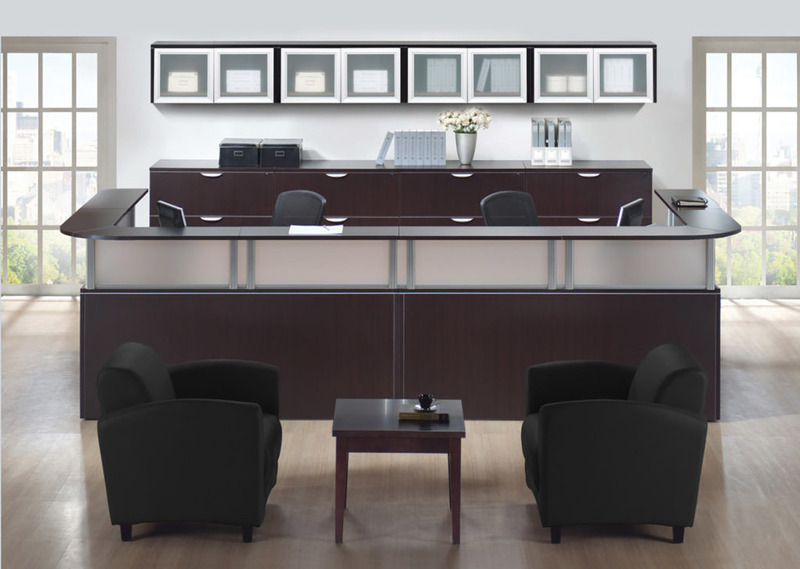 Configurable – Keep it simple with an individual reception desk or combine elements to create multi-user desks. 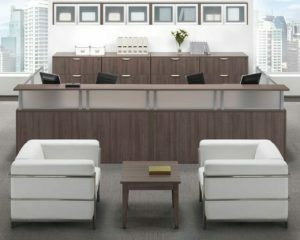 Stylish – Choose from 5 rich woodgrain laminate finishes. 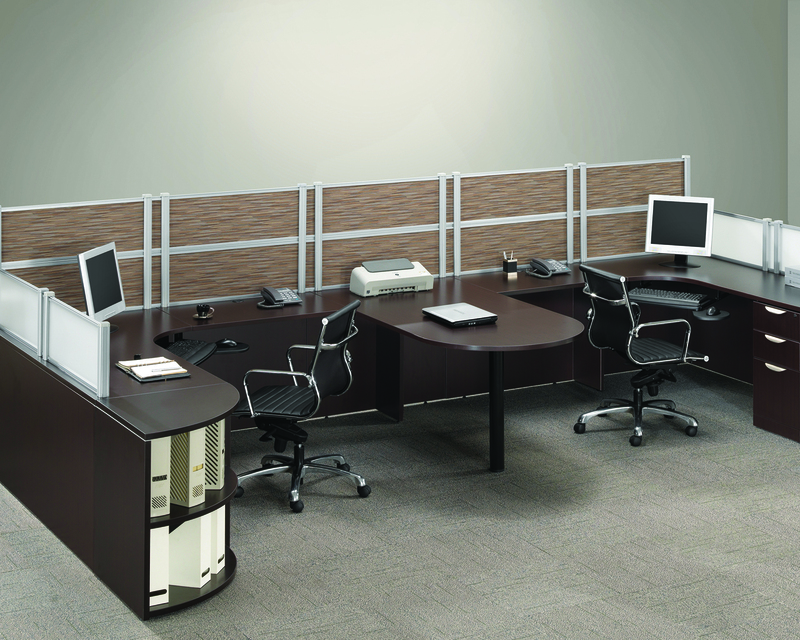 Storage – Customize filing options to maximize your space. 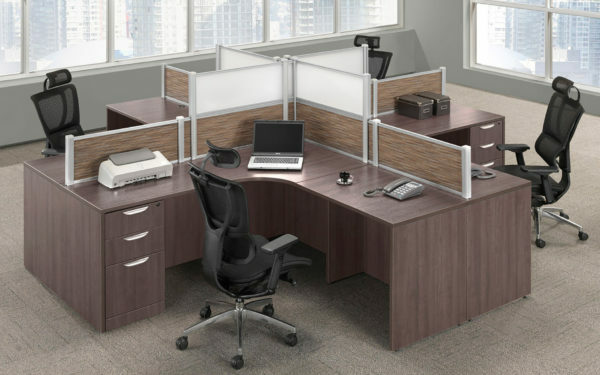 Privacy Features – Upgrade to whiteboard or fabric tackboard panels on divider walls to create more work space off the table top. 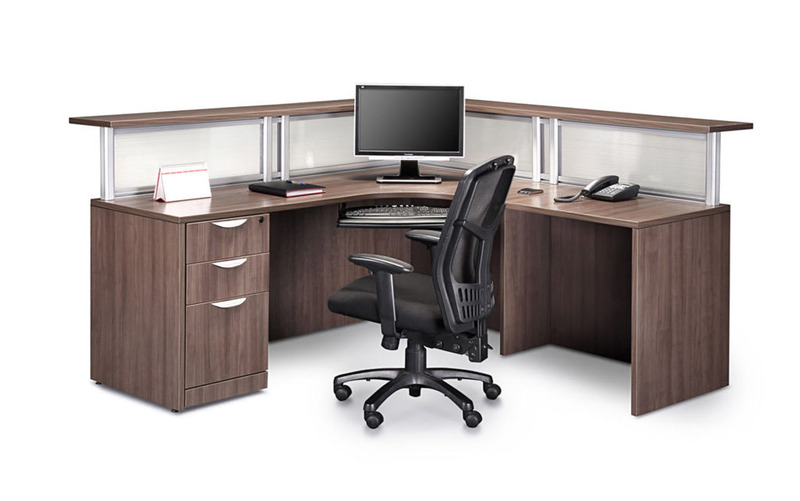 Quality Materials – Greenguard certification means low-emission materials for a healthier office.